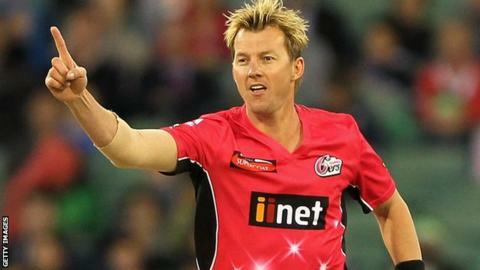 Former Australia star Brett Lee will be Ireland's bowling coach during their pre-World Cup warm-up period in Sydney. Irish officials have agreed a short-term deal with the recently retired 38-year-old who has been a World Cup winner on two occasions. Pace bowler Lee took 310 wickets in 76 Testss and also played in 221 one-day internationals, claiming 380 scalps. "Brett's insight of Australian pitches will help our bowlers," said Ireland coach Phil Simmons. "I am sure they will all benefit from the experience he has accumulated, especially in the pressure situations of a global event. "It is a fantastic opportunity for our bowlers to learn from a living legend." Ireland play Randwick Petersham in a 50-over friendly on Friday, before official warm-up games against Scotland (Tuesday) and Bangladesh (Thursday). Their first Pool B game is against the West Indies in Nelson on 16 February.